I am one of the lucky ones who has a semi-green thumb and am able to get my house plants to thrive. But I know a lot of people struggle with keeping houseplants thriving or even alive. What would you say if I told you that I have the "Perfect Plant" for you if you are one who struggles to keep houseplants alive. It is called an "airplant" and it requires no dirt, in-direct sunlight and waterings (mistings) only once a week. I received the beautiful air plant arrangement you see pictured above for review. This arrangement has a little zebra walking through its airplant jungle. The arrangement is made on a 4x6" cork bark slab. 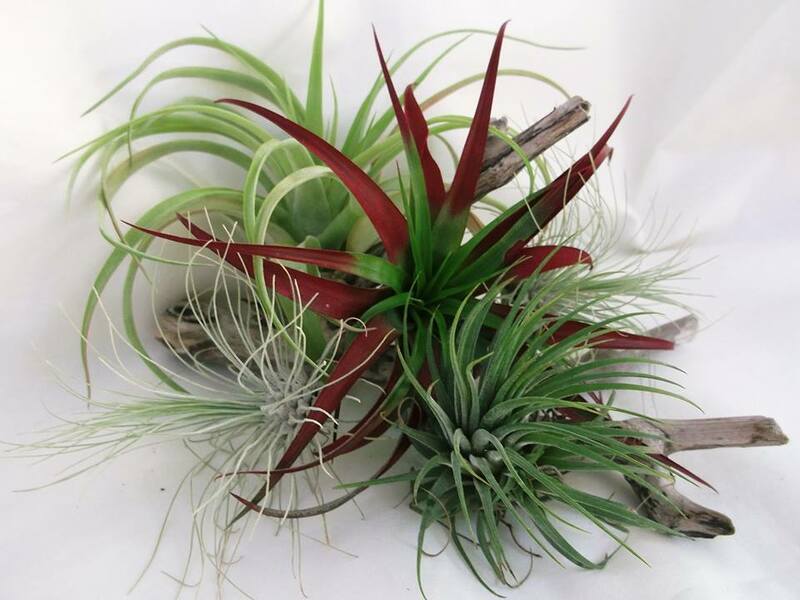 The airplants Brachycaulos, two Rubra Ionanthas and a Capitata. It is a beautiful arrangement that has made its home in my bedroom on top of the one dresser. When I recently ended up in the hospital I was worried that I would come home to find my airplant arrangement had died from neglect, but I was so happy to see that it was still doing very well. Since they only need water (misted) once a week and I had done it right before I ended up being admitted to the hospital for a week it was doing well. Airplants make a great plant for college students who want to decorate their dorm but not have the worry of a typical house plant. They are also great for those who do not have a "green thumb" for plants. 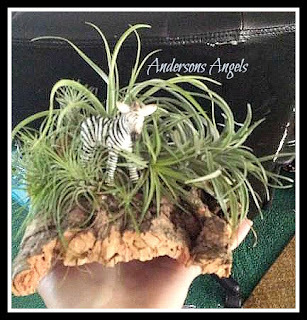 Make sure you stop by The Perfect Plant etsy shop and look around they have many different styles of airplants and arrangements. I am sure you will find something that you just can't live without!